The rapid rise in the use of oil and gas during the last half century has been accompanied by the development of a range of petroleum products, some of which, like petrochemicals, have other important applications beyond energy production. 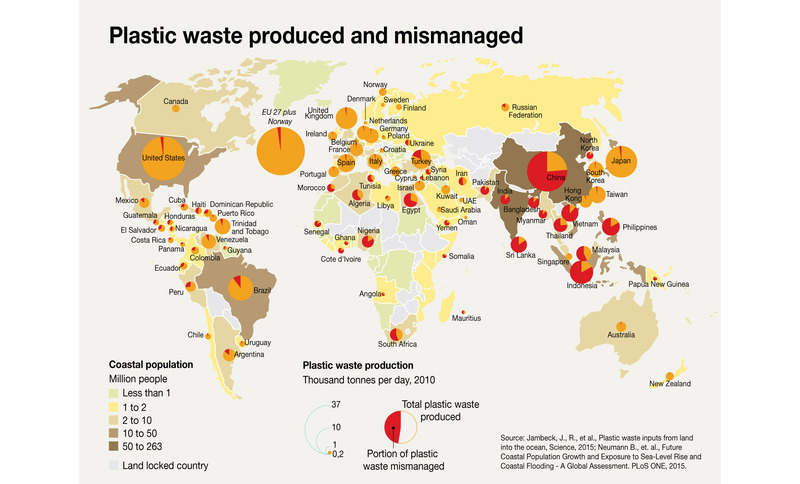 The global production of petroleum-derived plastic has also increased dramatically, from 1.5 million tonnes in 1950 to more than 300 million tonnes in 2014 (Plastics Europe, 2015; Velis, 2014). Some people have described this dramatic increase in the use of plastics as the “Age of Plastics” (Stevens, 2002) or “Our Plastic Age” (Thompson et al., 2009). If the current trend where production increases by approximately 5 per cent a year continues, another 33 billion tonnes of plastic will have accumulated around the planet by 2050 (Rochman et al., 2013).